Many of us have concerns about the effects of climate change on Earth, but we often overlook the essential issue of human health. This book addresses that oversight and enlightens readers about the most important aspect of one of the greatest challenges of our time. The global environment is under massive stress from centuries of human industrialization. The projections regarding climate change for the next century and beyond are grim. The impact this will have on human health is tremendous, and we are only just now discovering what the long-term outcomes may be. 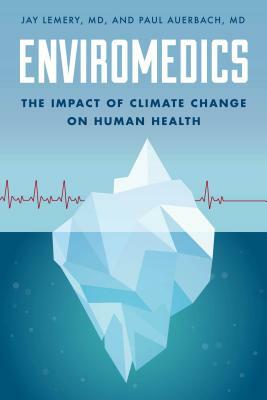 By weighing in from a physician's perspective, Jay Lemery and Paul Auerbach clarify the science, dispel the myths, and help readers understand the threats of climate change to human health. No better argument exists for persuading people to care about climate change than a close look at its impacts on our physical and emotional well-being. The need has never been greater for a grounded, informative, and accessible discussion about this topic. In this groundbreaking book, the authors not only sound the alarm but address the health issues likely to arise in the coming years.